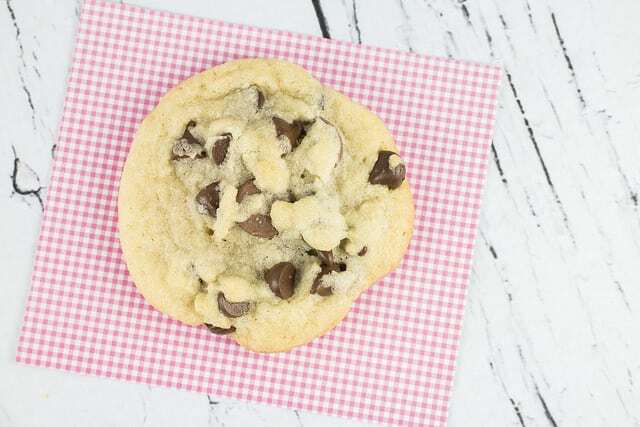 Recipe for Jacques Torres Chocolate Chip Cookies! With this easy recipe you only need to chill the dough for 30 minutes! These are the best chocolate chip cookies ever! Stop your perfect Chocolate Chip Cookie recipe searching. The answer is here. Take my hand, I’m taking you to the Chocolate Chip Cookie mothership. 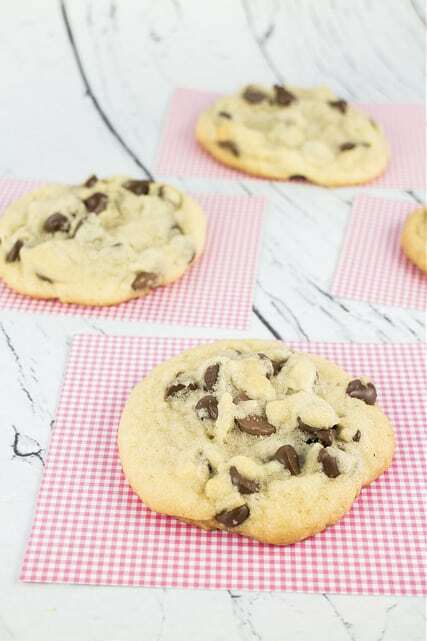 A few years ago there were quite a buzz on a popular recipe that the New York Times featured, it was a close adaptation to Jacques Torres Chocolate Chip cookies. If you’ever ever had a Jacques Torres cookie then you can agree they are some darn good cookies. Turn the clock ahead almost 6 years later and I finally got around to make this cherished recipe that had people raving and gawking. So I got all the ingredients ready and realized 2 things 1) I did not have the type of chocolate Mr. Torres recommended and I was not spending $12 on it, 2) Refrigerate the dough for 36 hours. Wait, what? This girl wants cookies now. 36 hours of waiting? Are you crazy? In 36 hours the world could be over and here I will be, laying on the zombie apocalypse covered sidewalk crying out “But… my… cookies…are…. still…in the…refrigerator”. No way. No way. I let them chill for 30 minutes, that’s all the willpower I have. So taking the original recipe and tweaking it with my own chocolate, changing the servings, amount of ingredients and size of cookies as well as the process for chilling, I have to declare these cookies The Best Chocolate Chip Cookies ever. I’m totally being serious. Not only are they quite possibly the prettiest cookies I ever baked, but they are just so perfect tasting. They are everything a chocolate chip cookie should be, sweet, but salty on top. Every single person I have fed these cookies to are amazed they aren’t bakery bought and then immediately eat 5 more cookies than they told themselves they would eat. They’re magic. Come to Mama you beautiful chocolate chip cookies. Want more cookie recipes? Try my peanut butter cookies or my cream cheese cookies! Mix flours, baking soda, baking powder and salt in a bowl. Set aside. Using a hand mixer cream butter and sugars together until light. Add egg and mix together. Stir in the vanilla. Add dry ingredients in and continue to mix until all is combined. Add chocolate chips into batter and stir with spoon to equally distribute. Put dough in refrigerator for 30 minutes. Drop tablespoons of dough on ungreased cookie sheet. I can usually fit 12 cookies per sheet. Arrange chocolate chips to "poke up" on the cookies at this time to make for a more pretty cookie. Sprinkle each cookie lightly with sea salt. I like quick and easy! Have I everrrr read that article! And I’ve tried to mimic it a million times but they’re never quite as good. Truth be told I’m a city bakery CCC fan but it’s all good cause I’ll be there next week and I plan to stock up majorly and freeze them when I get home. But when I get home I’ll have to try your fool-proof recipe! These have been my go-to cookie recipe for the last 3 years! 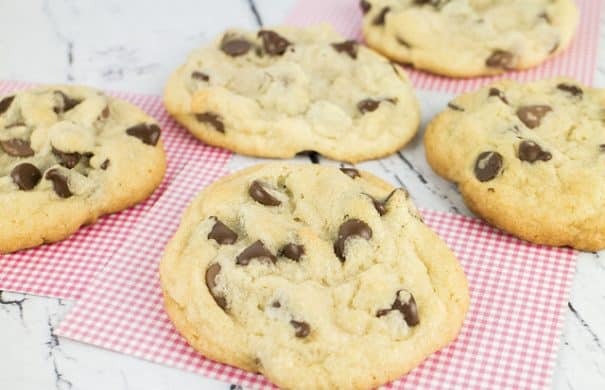 I cannot stop eating them when I make a batch and have to force myself to give them away to people (I am very protective of chocolate chip cookies – so to give them away is a big deal). We stopped by Jacques Torres in NYC before the marathon last fall just so I could taste the real thing. SOOOO GOOD!! I’m waving my white flag. I surrender. Soooo yummy! I haven’t tried it either, but believe me, I’m calling “come to mama!” louder than you right now! 🙂 They look so good, especially considering only 30 minutes of chill time vs, *gasp* 36 hours! 36 hours? What the what! That’s way too long — but I guess you’d at least have cookie dough to eat during the zombie apocalypse? 30 minutes is much more reasonable, plus these cookies looks AHHHH MAZING. Oh my goodness! 36 hours??? Umm … NO! Yes, please … take me to the cookie mothership. I want to go!! These really are beautiful cookies! And the sea salt on the top is a truly genius addition. I’m sure it just totally enhances the flavors! YUM! Perfectly looking cookies… Well done, my dear! Oh my gosh. The perfect chocolate chip cookie. Be still my heart. 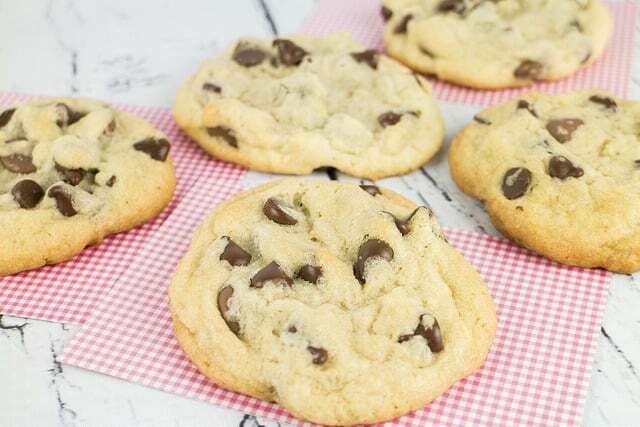 This looks like a great ‘go-to’ choc chip cookie recipe, Pamela! 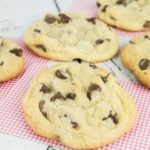 Pinning for later cookie cravings! Fresh chocolate chip cookies from the oven is like the best medicine in the world. I’ve tried this recipe before though I didn’t make them as big as the original and I didn’t have the chocolate feves either. I almost think it’s impossible not to adjust that recipe a little when making it at home! It came out great but it wasn’t quite his cookie that we devoured in the store. I’m glad yours came out so wonderfully! Enjoy a few extra for us! Chilling the dough for 36 hours? I sure can’t wait that long…maybe I could double the recipe and leave half in the fridge and bake another half immediately…these cookies look divine! Chocolate chip cookies are my favorite! These look good! No point in waiting to eat them unless it is an emergency! 30 minute chill time I am so down with! The texture of these cookies is amazing! Bread flour in cookies – well I never ….Brilliant Pamela! i have not tried his recipe but heard so much. I am glad you got your cookie fix because really 36 hours? Bahaha I definitely want to go to the chocolate chip cookie mothership!! These look utterly fantastic. I would give my left arm for a batch of these cookies – they look wonderful! 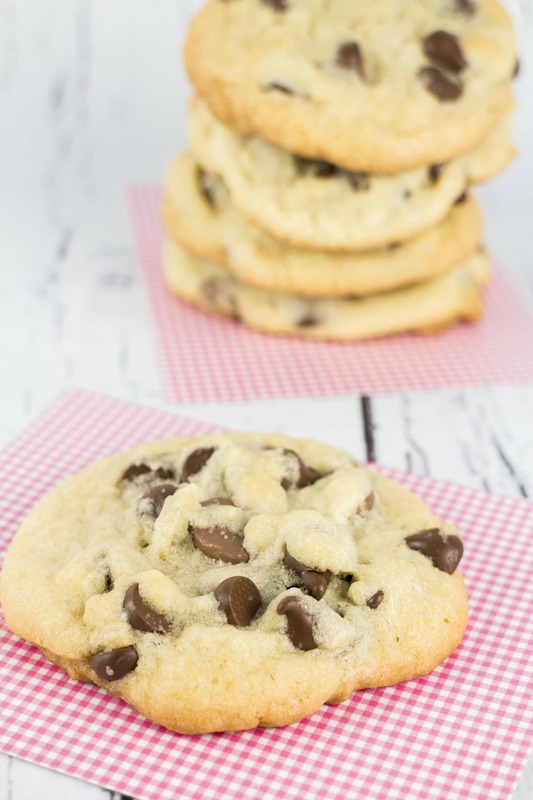 You can’t go wrong with a good chocolate chip cookie, so classic! These look absolutely amazing! Wow! I need to make them. I’ve saved the Jacques Torres recipe but have never made it because of the wait time. I can’t wait to try this quick version! I have an obscene obsession with good chocolate chip cookies. I wouldn’t even try to tell you I wasn’t going to eat 5 more of these. I’ve never had one of these, but that has to change asap! Oh wow, they look like the most delicious cookies ever. I want a dozen! Jacques Torres cookies are pretty darn amazing! I especially love the ice cream sandwiches there in the summer… And don’t even get me started on all his chocolates. They are amazing. We were super bummed when his Chelsea Market location closed since we were around that area all the time. These cookies look absolutely divine. Like I need them immediately! I have let my cookie dough chill for 36 hours in the past, but I often don’t have the patience or will power either! It’s hard to plan so far ahead when sometimes you just want a cookie! I never made the Jacques Torres cookies because I couldn’t handle waiting that long! 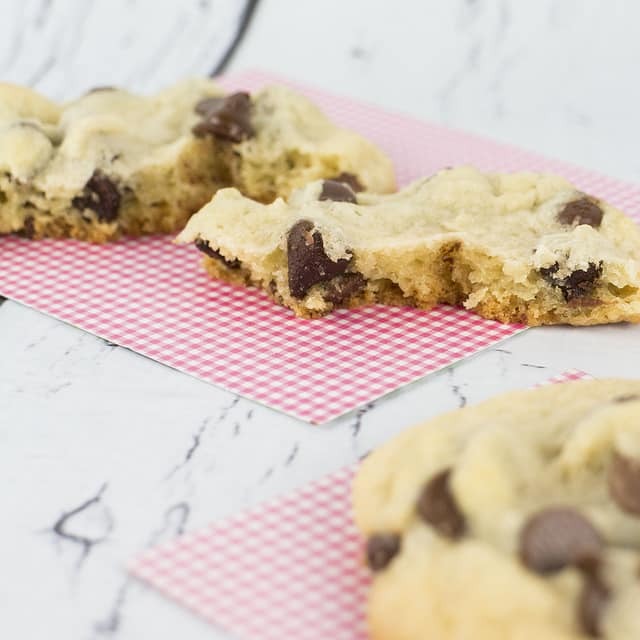 I’m always on the hunt for the “perfect” chocolate chip cookie recipe – will have to give this one a try, your photos certainly make them look delicious! such simple and delicious cookies! i am craving these now! Oh I agree with you. I have tried versions of this recipe and it is amazing. It’s so hard to not over eat when I make these cookies. So making your version this weekend!! While I think that having a shortcut version is great, you really really reallllllly have to try to try the overnight version sometime. It’s SO worth it! I love Jacques Torres. Will definitely try these. Thanks! I’ll be honest, I’ve never had a Jacques Torres cookie… I’ve never even heard of them. But I love me a good cookie!! Yum! Love the words ‘cookie’ and ‘quick’ in the same recipe! These look beautiful. 36 hours to wait for cookies to chill? no.